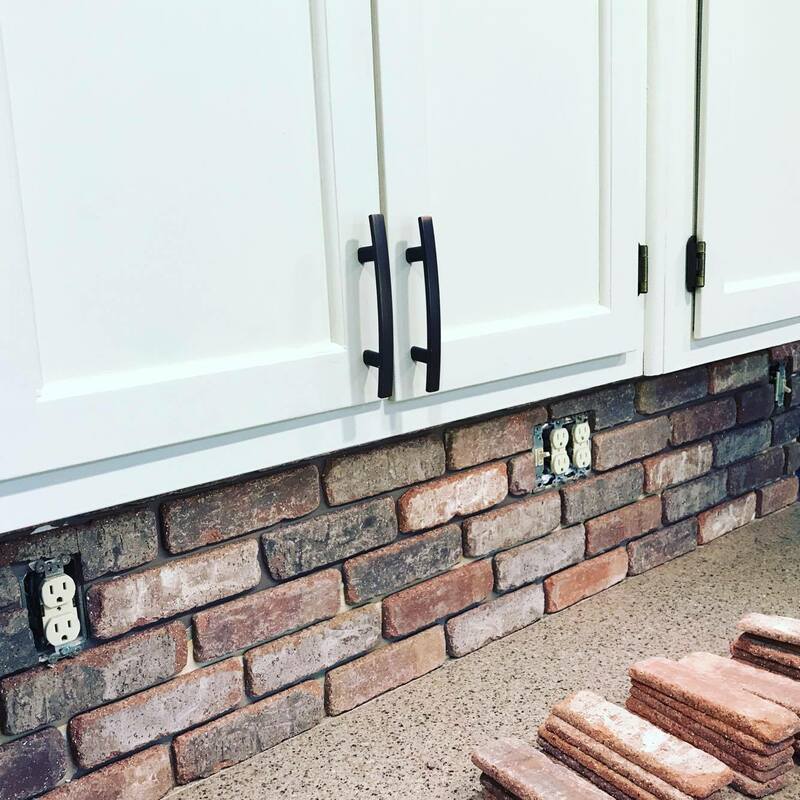 DIY Farmhouse Brick Backsplash - Brushed Design Co.
You can create an exposed brick wall! 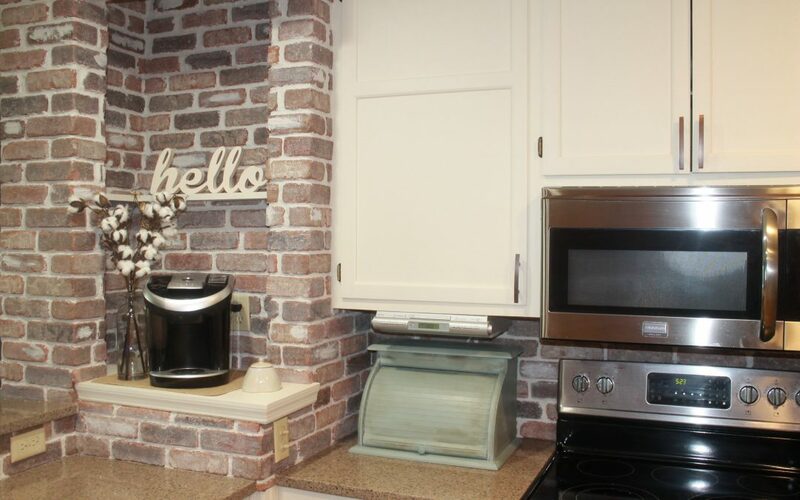 Alright, well not a real brick wall but a faux brick backsplash that looks amazing! I am a lover of all things farmhouse and rustic. Joanna Gaines is my spirit animal and I am constantly trying to make my house look older than it’s actual age. Of course I keep in my modern amenities. This mama MUST have her Keurig! To begin this project I first measured out the amount of brick veneers I would need to order. Most stores are not going to have these in stock and you will need to special order your supplies. I ordered this set from Home Depot as well as a few boxes of the corresponding corner pieces. If your sections are straight from end to end you will not need any corner pieces. It takes about a week for the veneers to arrive and in the meantime you will want to pick up the remainder of your supplies. You can find your supply list on the bottom of the page. The brick veneers arrived via semi truck and a very nice gentleman loaded the pallet into my garage. For my project, I had 27 square feet to cover and I ordered six boxes of flat veneers and two boxes of corner veneers. While my estimating skills were near perfect for the amount of brick I would need, I did end up making four extra trips to the store for adhesive and grout. In the end I used four tubes of adhesive and two gallons of grout. Once I was ready to begin I had to remove my exisiting backsplash. 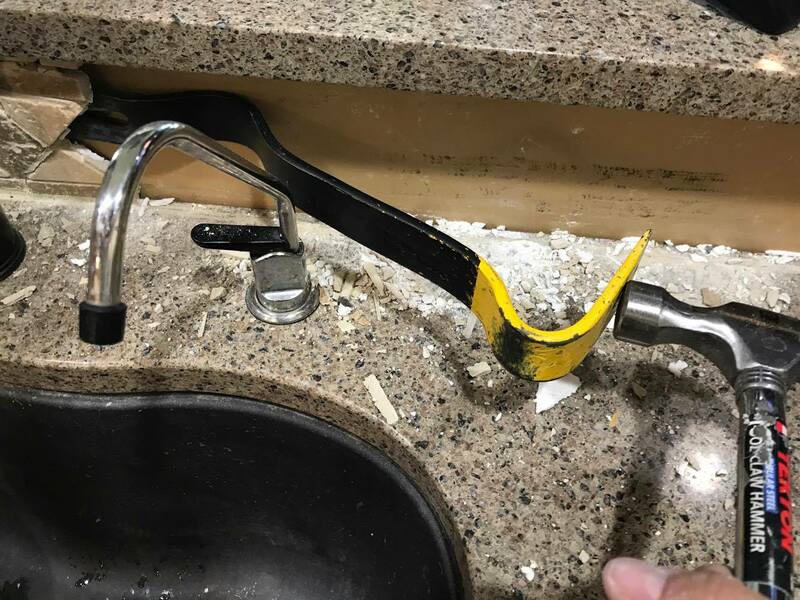 A pry bar and a hammer worked wonderfully for this demo and the existing backsplash removed quite easily. 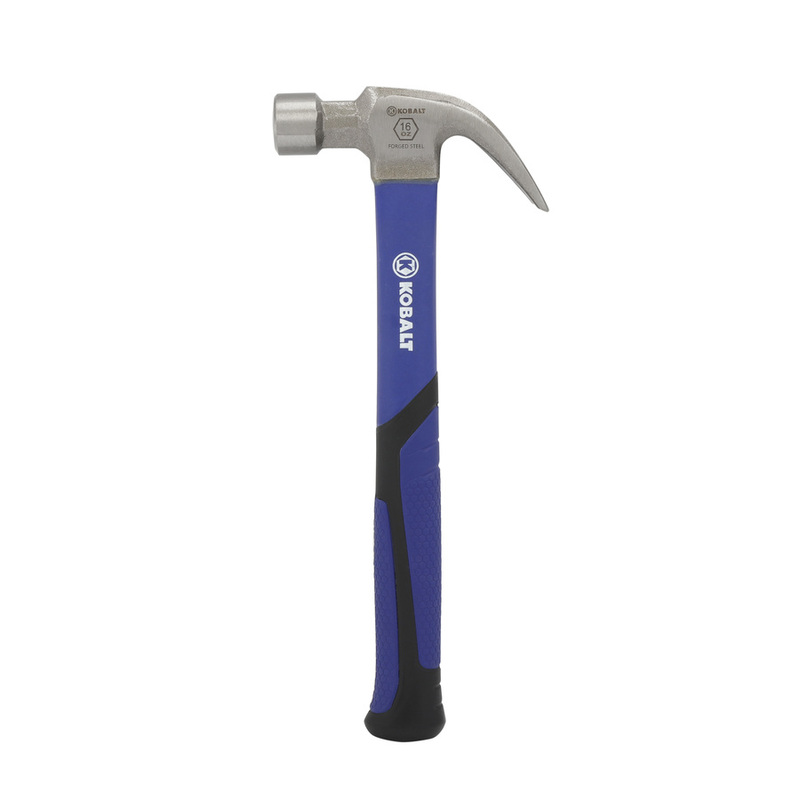 Don’t be alarmed if you damage the wall in the process of removal. You’ll be covering it up anyway! 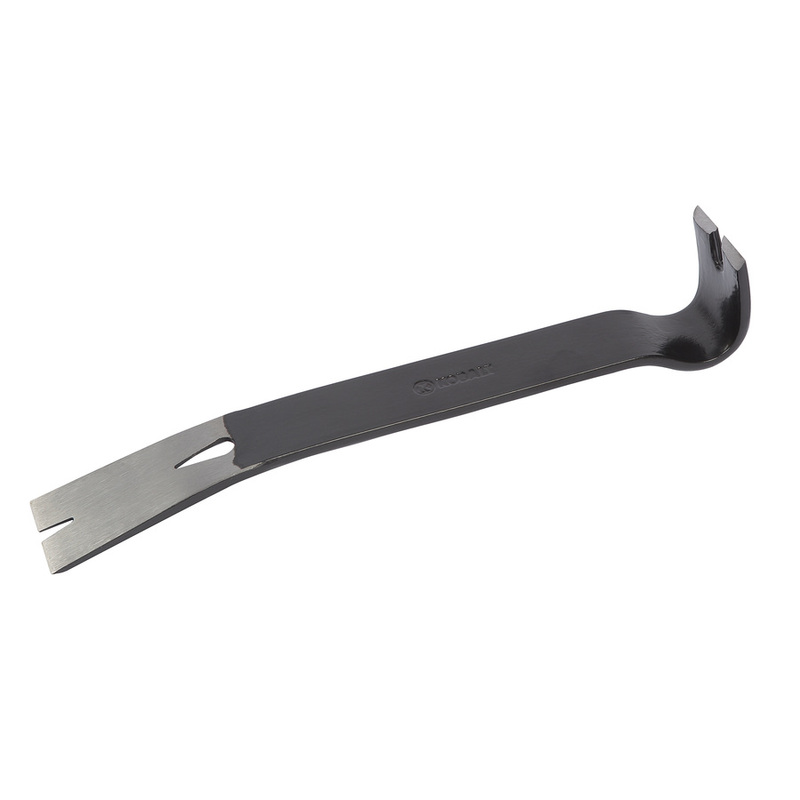 If any grout remains on your countertop, use plastic grout removal tool to remove the residue. Now you can begin adhering your bricks to your wall. 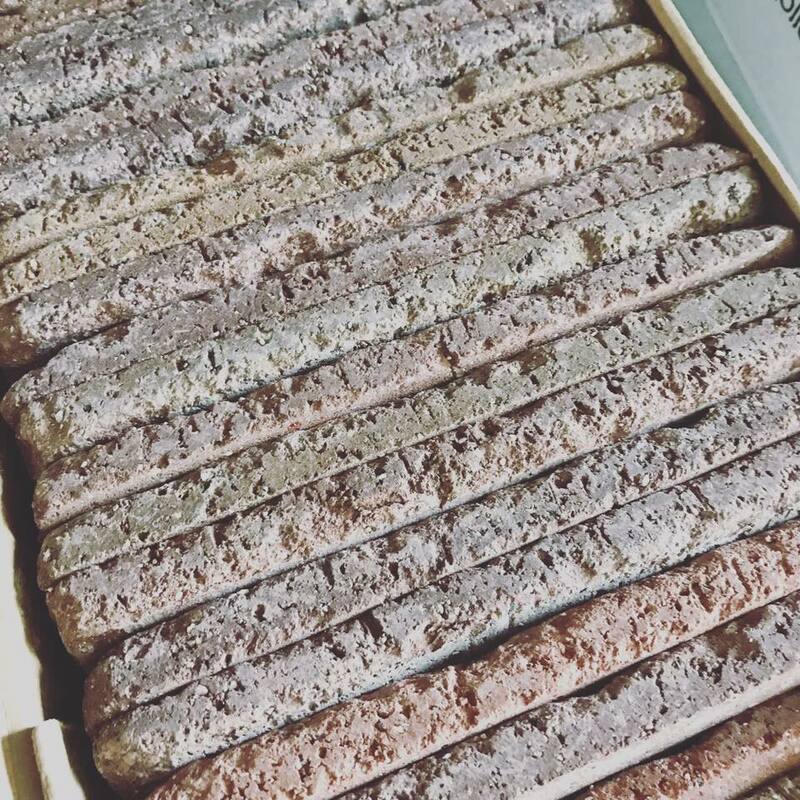 Unlike most tile, you actually can use adhesive rather than mortor to adhere your bricks. I used Loctite Instant Grab Construction Adhesive and it worked great! Apply a fair amount to the back side of the brick and stick it directly on the wall. 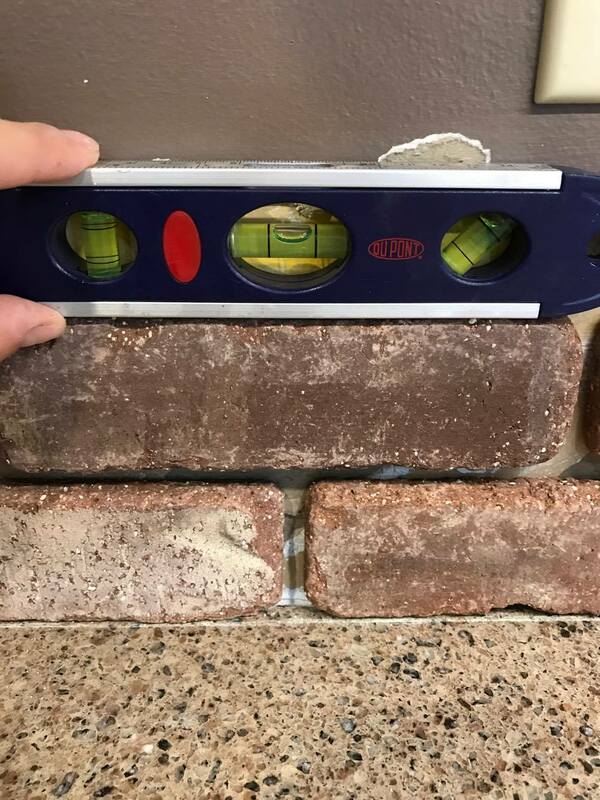 I used a level to help keep my bricks straight but I just eyeballed (is that even a word?) the spacing. 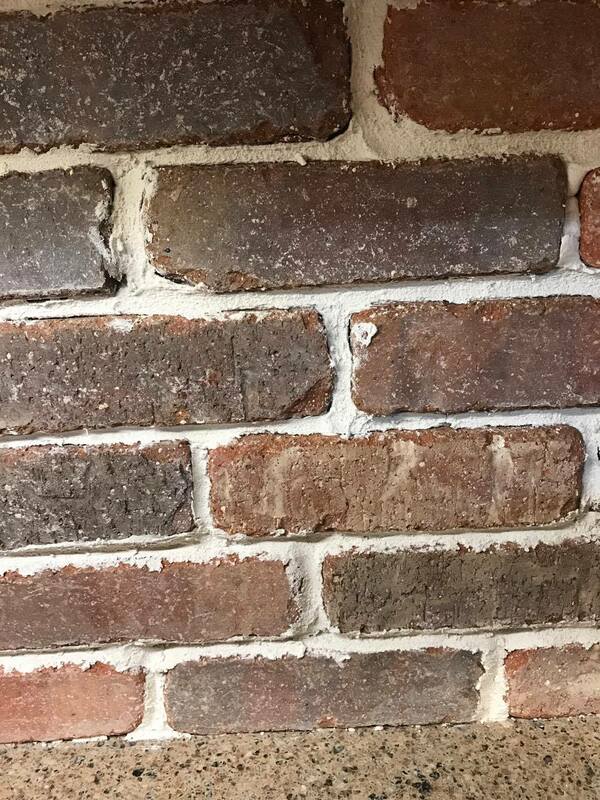 Because of the rustic look of the brick, it doesn’t need to be spaced perfectly to look good. Use your own judgement and method here as you really can’t go wrong. Continue placing your bricks until your entire surface is covered. I used a manual snap tile cutter to cut the tile and it worked wonderfully for vertical cuts. 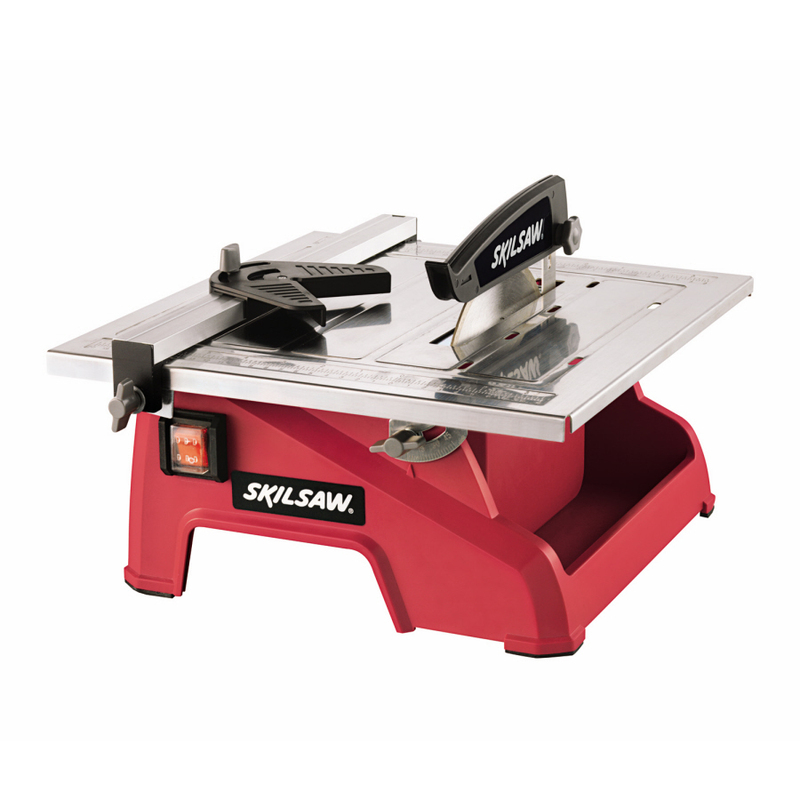 You may need to use a wet tile saw if you need to make horizontal cuts and make the tiles thinner. 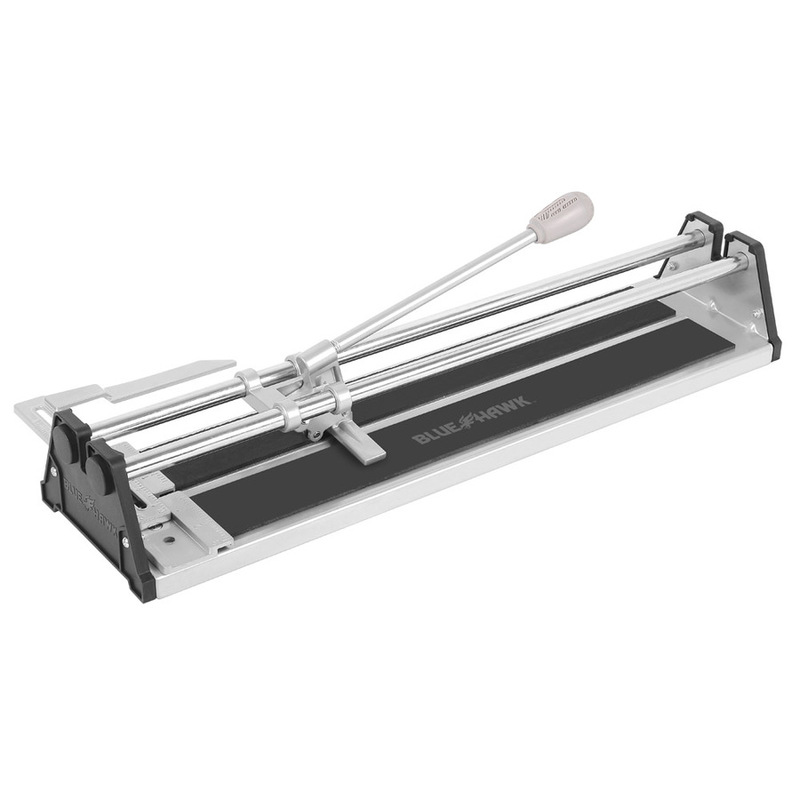 These saws are not terribly expensive, but they likely can be rented at your local rental supply company. When working around outlets, you’ll need outlet box extenders to make your outlets flush with the brick. These are very easily installed and inexpensive. 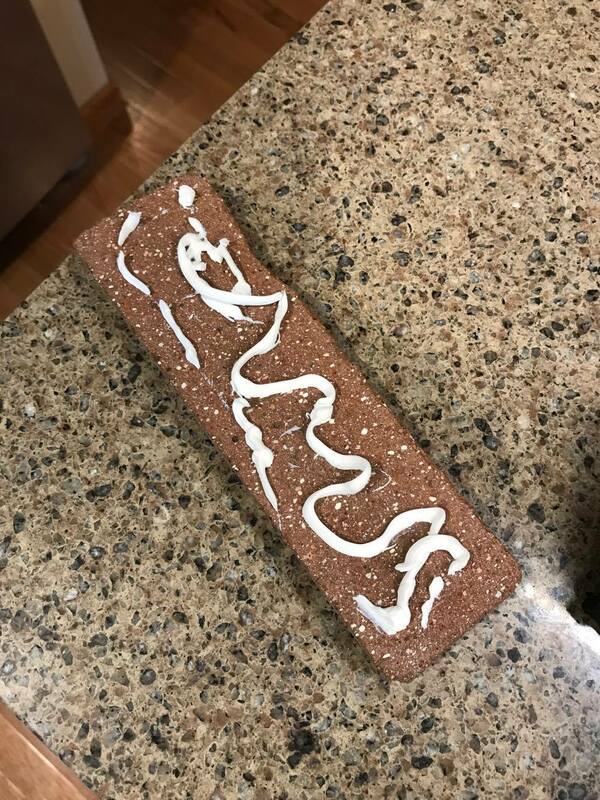 Once your tile is placed it’s time to add the frosting! Just kidding, it’s grout but cake makers rejoice as you’ll be using your skills here. 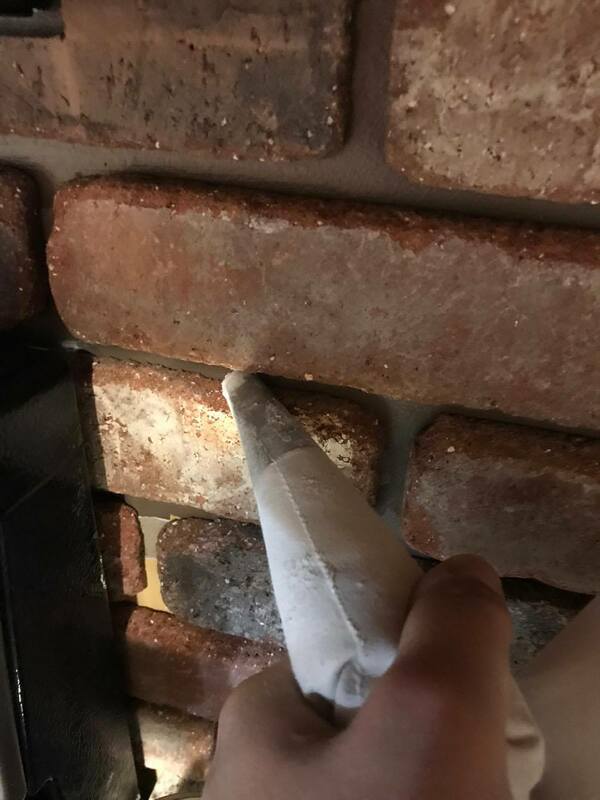 Pipe the grout in between the bricks stopping about every foot to smooth out the grout using your finger. Keep a towel handy…this is messy! Your grout will need a day or so to harden completely. After that, you can be done if you are happy with the look of your brick. My kithcen has off-white cabinets and the brick was a bit too stark of a contrast between to the two. Using left over paint from my cabinets, I created a whitewash by mixing the paint/water mixture 5:1 and brushing on with a chip brush. Then I was able to finish off the backsplash by applying caulk where the backsplash met the countertop. I LOVE the look of this backsplash! It perfectly finishes off my farmhouse kitchen! It was a pretty easy project, but it was time consuming. Find your favorite show on Netflix to combine your work with a binge watching session! After all, multi-tasking is a mama’s favorite skill! Disclaimer: This post may include affliate links for certain products. While I do not represent these products, I do recieve a small commission from purchases made from these links.